Plans are afoot to hit diesel drivers in London with an extra fee to drive on the city's streets. Drivers already pay a £11.50 ($19.50) fee to enter the city, known as the 'Congestion Charge', but diesel drivers could pay an extra £10 ($17) if the plans go ahead. The diesel surcharge is the idea of London mayor Boris Johnson, in his latest push to clean up London's air--considered some of the dirtiest in Europe. According to the BBC, only diesels meeting the latest Euro 6 emissions standards will be exempt, as they produce less than half the smog-causing oxides of nitrogen of Euro 5 diesels. Gasoline-powered cars registered before 2006 will also have to pay the $17 surcharge. 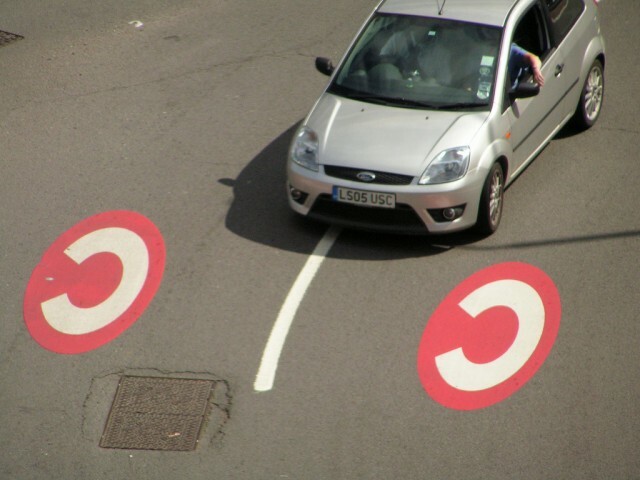 London's Congestion Charge was implemented in 2003, under previous mayor Ken Livingstone. Originally, hybrid vehicles and electric cars were exempt from the charge, regardless of emissions. It originally covered a small area of London's city center and drivers were charged £5--about $8.20 at the time. Both the zone and the charge have risen over time, and the guidelines also changed, swapping exemption from hybrids and EVs to any vehicle producing under 100 grams per kilometer of CO2. That meant lower-emissions hybrid SUVs like the Lexus RX 450h lost exemption, but dozens of diesel models with potentially high oxides of nitrogen and particulate matter levels became exempt. The rules changed again in 2013, with exemption granted only to cars below 75 g/km of CO2. This essentially limits zero-cost travel through London to plug-in hybrid vehicles and pure electric cars--though Toyota recently revised its Yaris Hybrid (equivalent to the Prius C) to fall below the 75 g/km limit. However, the influx of diesels in the meantime, aided by the UK's CO2-based taxation system, has contributed to the city's pollution levels--and now retrospective steps are being taken to reverse that process. Realistically, London's reliance on diesel buses, trucks and taxis contributes far more harmful pollution than the newest, latest diesel models with particulate filters and urea injection, but the government must now be seen to be acting on the city's poor pollution status. Some, such as UK Automobile Association president Edmund King, suggest Mayor Johnson hasn't gone far enough--having previously promised to ban older diesel vehicles from London's roads altogether by 2020. "It's like allowing rich people to pay ten [pounds] a day to smoke cigars in pubs and schools," said King. Cities such as Berlin have already implemented such a ban and several European cities restrict the usage of older, dirtier vehicles, rather than simply levying charges on them. The charge, if implemented, will certainly make driving a great deal more expensive for many of London's residents--but it remains to be seen whether it will actually make London's streets any cleaner.